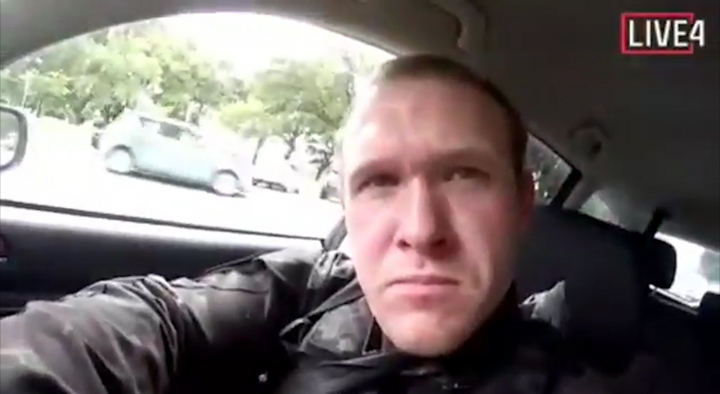 CANBERRA, Australia — Those who watched Brenton Tarrant growing up in the sleepy Australian country town of Grafton say they had no inkling of the potential evil he allegedly unleashed in merciless gunfire at two New Zealand mosques that claimed at least 49 lives. The chief suspect in New Zealand's worst mass shooting in modern history grew up in a modest house in suburban Grafton, a close-knit town of 20,000 on the Clarence River in northern New South Wales state. "I've caught up with some of his classmates and they remember him as a bit of a class clown," Huxley said Saturday. "But staff remember him as a bit of a disruptive student who was prone at times to being quite cruel to his classmates." "But the teachers are struggling to come to terms with the fact that the pupil that they were involved with in Grafton has now been involved in what has happened in Christchurch," Huxley said. "I am a goddam monster of willpower. I just need a goal or object to work toward," Tarrant posted on social media in 2011, a year after his father died. "I can't ... believe that somebody I've probably had daily dealings with and had shared conversations and interacted with would be capable of something this extreme," Gray told Nine Network television. "It is very upsetting, actually," Brigid said. "I think pretty much everyone is in the same boat of being very upset about it. It's not something you would expect from someone from such a small community because everyone is well known."